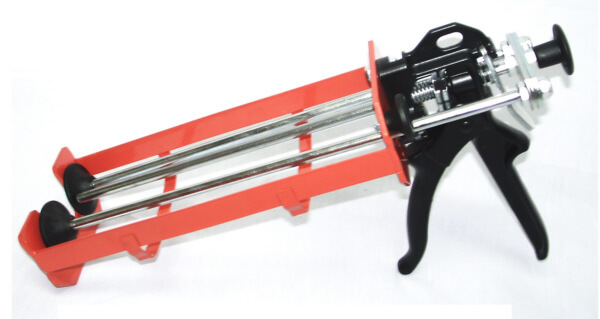 * Recommended that you have hand grinder with turbo zip blade to cut slots for the stitches. A combined kit of epoxy injection and Carbon Fiber Staples, complete kit for up to 15 ft of wall in an easy to use kit. 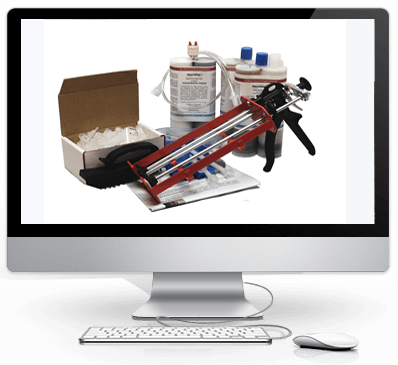 Repair foundation structural cracks using Carbon Fiber Staples and Epoxy Injection provides the best solution for a permanent and long lasting repair. 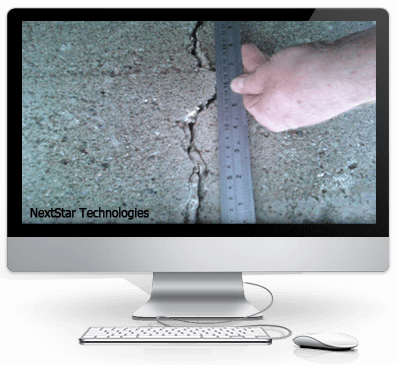 Structural cracks in concrete are caused by movement in the foundation, thus resulting in long-term creeping and fatiguing of concrete. 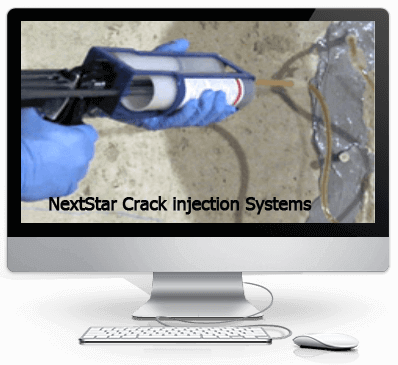 Crack repair by injection alone may not be a permanent solution. 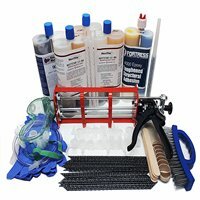 Epoxy injection in structural crack repair is a suitable first phase,this kit also provides the use of Carbon Fiber Countersunk Staples providing the necessary reinforcement. 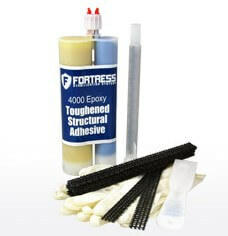 By cross-stitching with Countersunk Staples within the foundation crack area, creep and fatigue is eliminated and improves long-term performance of repair material. Carbon fiber has proven to be a safer and more effective product for structural reinforcement than steel. Countersunk Staples, when installed, lay flat against the foundation, leaving the wall with no obstruction and ready to paint.